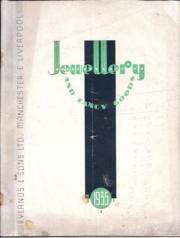 Printed trade catalogue of 'Stayte' pocket and wrist watches, 'Abby bracelets', and other items, by the Birmingham jewellers Adolph Scott Ltd, containing numerous illustrations in black and white and colour. Adolph Scott Ltd., 24, 25 & 26, Gt. Hampton St., Birmingham. 44pp., 4to. In original grey wraps, with coloured illustration by 'Scott' of a Restoration lady by a sundial and the word 'Watches' on front cover. In good condition, lightly-aged with slight rusting to staples. 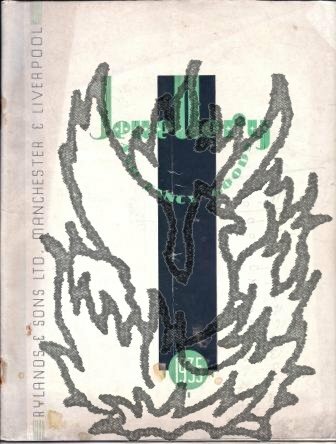 The catalogue is printed on art paper, without indication of date or publisher, but with a label printed in red from Adolph Scott Ltd, tipped in at the front, stating that 'Prices in this list are subject to 50 per cent. Lists Nos. 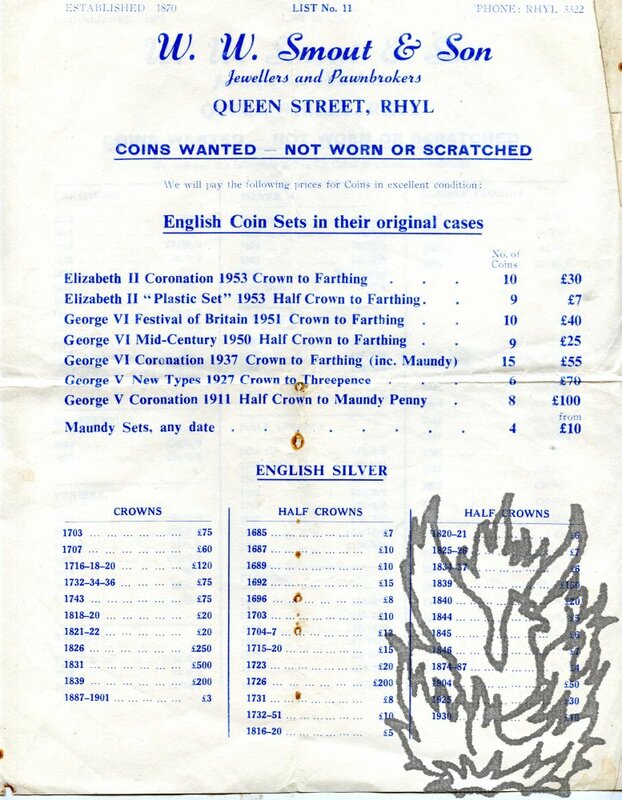 10 and 11 of 'COINS WANTED - NOT WORN OR SCRATCHED' by W. W. Smout & Son, Jewellers and Pawnbrokers, Rhyl. Both lists 4to, but not uniform in size. List No. 10: Printed in black. 4to, 1 p. Fair, lightly-aged and creased. Coins divided into ten sections (from Farthings to Crowns) and three columns. The latest dated item is a 1960 crown. List No. 11: Printed in blue. 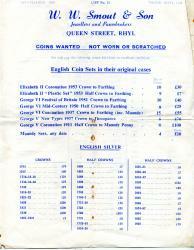 Mainly advertising 'English Coin Sets in their original cases', but with 'ENGLISH SILVER' in three columns. Text clear and complete. On lightly aged paper, with some foxing along creases, and dogeared, creased edge.